The relevance of vernacular schools has once again come under national spotlight. 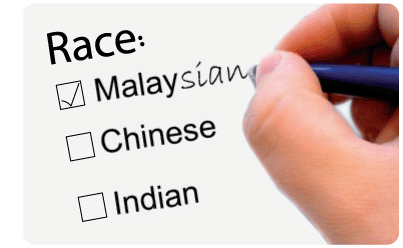 This topic swiftly became of interest to Malaysians, particularly the Chinese community. Of course, MCA sees this as an opportunity to make a comeback and become a hero among the Chinese who punished the party in the last general election. I do not blame MCA because it is the party’s nature to defend the interests of the Chinese, which include vernacular schools. Although we have two types of vernacular schools – Sekolah Jenis Kebangsaan Cina (SJKC) and Sekolah Jenis Kebangsaan Tamil (SJKT) – this article specifically touches on SJKC. I have been monitoring this issue throughout social media and online portals. I was surprised how this issue resulted in a barrage of resistance, mostly of course from the Chinese community. While scrolling down from one comment to another, I could not help but laugh. I know I should not laugh at other people’s opinion but I did. I am sorry. Supporters use arguments, such as mastery in Mandarin can guarantee success, China’s rising as economic superpower would require mastery in Mandarin, to justify vernacular schools. The most ludicrous view I saw is Mandarin will soon replace English as a global language. Too many exaggeration and preposterous statements posted to justify the existence of vernacular schools. I had to take a break and light up a cigarette to calm myself before I could continue reading. Some even went to the extent national school must be replaced with Chinese schools, Mandarin should be our country official language. Their hatred towards Umno makes them confused between country, national language and government. There were some more comments which may be considered racist, insulting, chauvinistic, derogatory, disparaging and belittling towards our national language. These people need help. I have kept all those sick comments to myself. The most popular opinion is simply blame on Umno. Before I am accused of being an Umno member or supporter, let me be clear that I am not, will not and never have been a member or supporter of Umno . In fact I am a staunch supporter of the opposition and I have attended numerous opposition rallies. Let us move on from this trivial potential accusation and focus on the bigger picture. Those who defend vernacular schools and at the same time scream the loudest in support of Malaysians first need to look themselves in the mirror and ask this question “am I a hypocrite?”. As far as I am concern Malaysia is the only country on God’s green earth practising vernacular school system. The way I see it, schools are more than learning two plus two is four but it is about integration of children from different races since childhood. Do not brag about there are more there more non-Chinese sending their children to vernacular school, so Chinese schools are miraculously becomes ethnically diverse. Only 13% of pupils of Chinese schools nationwide are non-native speakers. This is another fallacy argument to justify the diversity of vernacular schools. Let’s talk about Chinese educationist like Dong Zong. I recall several years ago the Education Ministry’s proposal to increase the class time for Bahasa Malaysia to increase mastery of the national language. It was a noble intention but Dong Zong and other Chinese educationists rejected outright this proposal. They are more than happy if the younger generation of Chinese could not speak or write in Bahasa Malaysia. There is the Malay proverb “Di mana bumi dipijak disitu langit dijunjung”. Certainly extremist chauvinist organisations like Dong Zong is confused about where they standing and breathing. It was a mistake. Dong Zong should have agreed to that proposal that would spare them accusation of being chauvinist. Organisations like Dong Zong are no different from Perkasa and Isma, poisoning the minds of the Chinese. With their influence, they should be the agent for national unity and integration. What they did, doing and will do is rather the opposite. In any sound mind, there is no harm if the Chinese spend more time and effort in learning Bahasa Malaysia. What harm does it do to allocate more time to learn your national language? Of course, Dong Zong has done this before. I also recall Dong Zong once sued the government in pursuance to establish Merdeka University using Chinese language as the medium of instruction. Eventually, they lost the suit because it was clearly prohibited by Article 152(6) of the Federal Constitution. Use of Chinese language is also against the national education policy. What I loathe the most is using the sacred word “Merdeka” as the name of the university when reverence was made directly towards Mainland China. We cannot put our trust in a poisonous organisation like this one to foster and achieve national unity. After all, the “Malaysian first” slogan is just a farce. We should not be the one to be trapped in it. I am always proud when I see a Chinese who can speak fluent Bahasa Malaysia. If I have the power, I will grant them Bumiputera status. I am sure the rest of the Bumiputeras share the same view. They are the true Malaysians first. I also saw several Chinese TV personalities who can speak Bahasa just as good as Malays. I saw Sharon Wee of Astro Arena hosting a sport programme. I tried to find flaws when she speaks. I could not find any. Her command of Bahasa was perfect. Another one is Cynthia Ng of Astro Awani. She also possesses a good command of Bahasa. No wonder she working in a Bahasa news channel. Not to mention she is beautiful, too. There are also several Chinese TV3 personalities who possess the same qualities. I do not intend to deprive Chinese and Indians from learning their mother tongues. Minorities’ rights to learn and practise mother tongue languages are protected under Federal Constitution. If anyone tries to prevent you from learning your mother tongue, I will stand and fight by your side as much as I abhor Perkasa, Isma and religious conservative bigots in PAS. The Chinese community must look at the bigger picture beyond racial line. Do not hand these bigots ammunition to attack you. Sit down and think for a moment. Would it be nice if our children, regardless of race, go to the same school, studying in the same classroom, eating on the same table and playing on the same field? It does not make any sense segregating them during childhood and expect them to be Malaysians first when they become adults. * Hafiz Ahmad is a final-year economics student at Universiti Malaya. * This article was first published in The Malaysian Insider, 8 October 2014, and republished here with permission. October 12, 2014 in Perlembagaan Persekutuan.